What drove you to create Smilart? Vladimir enjoys all kinds of sports and outdoor activities including hiking and fishing. He plays amateur hockey on a regular basis and is the captain with his local community hockey league. They won the regional championships in 2008 and 2013 and came in second and third place just about every other year for the last six. He stays fit by attending a health club almost every day, even when he travels. As the chief visionary, Vladimir steers Smilart through a global strategy roadmap to position us as the world’s foremost player in FRT. His ultimate goal is to shed the old stereotyped notion that facial recognition is designed for only a few specialized industry segments that have restricted and finite needs, and is taking the technology into almost every area of industry where it can work for every customer. A proven leader and inherent entrepreneur, his passion for science is homogenized with his pedigree in business management and finance. Before Smilart became the company it is today Vladimir formed a successful photo and video editing software startup. After realizing the potential of the technology’s biometric algorithms it became the catalyst for what Smilart is today. From 1998 through 2006 Vladimir worked for a major bank as executive vice president where his knowledge of finance and business processes eventually led him to head the institution as president and CEO. Before that he directed the trade brokerage and derivatives division of a major insurance company where he established himself as an expert risk manager, investment whiz, and brilliant trade finance professional. Vladimir holds two master’s degrees; one in economics and one in optical and electrical engineering. What do you enjoy most about working at Smilart? Yury enjoys physical activity and the outdoors. He explains that his daughter engendered a love of horses in him and so they spend as much quality time riding together as possible. If the weather is bleak, they still manage to at least get to the stables. Although his daughter is not a professional yet, her riding skills are quite extraordinary and Yury thinks this hobby of hers may well mature into involvement on a professional sporting level. He is quite the do-it-yourselfer and has even won awards for his craftsmanship which he claims has come in handy around the house on more than one occasion. 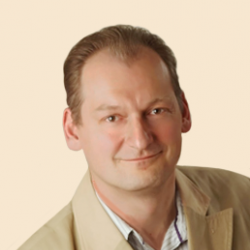 Yury leads Smilart’s financial strategy and investment portfolio. As the CFO he is responsible for all areas of finance including managing, budgeting, valuation and risk management, as well as the short and long term growth financing plan. He has an extensive background in business finance and audit with over 20 years of experience in venture backed capital management with particular emphasis on taking technology companies from the startup phase to prognosticated accomplishment. He is an astute decision-maker with an impressive record of supporting and growing portfolios, asset value and intellectual property. Before joining Smilart he managed his own firm from 2004 to 2011 before selling it to the finance division of a major technology giant. Before venturing out on his own he was vice president of finance at one of Eastern Europe’s largest internet companies until its acquisition in 2004. He has worked as an analyst and as an executive in several notable enterprise organizations. 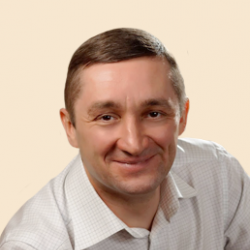 Yury holds a master’s degree in business finance and a bachelor’s in economics.